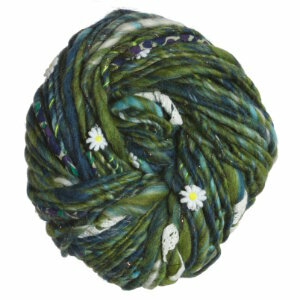 Daisy Chain by Knit Collage evokes the wonderful feelings one might draw from a garland of daisies or a crown of flowers. Each skein is spun with bits of tea-dyed lace, daisy trims, and hand-printed Jaipur fabrics. This seemingly magical, bulky weight yarn knits up quick, and will just as quickly spark your imagination! Knit Collage Gypsy Garden Yarn is a similar yarn: wool, hand wash, bulky (12-15 sts/4 in), 3.5 sts / inch, 125 gram. You may also like Knit Collage Pixie Dust Yarn, which is another similar yarn: wool and hand wash.
What about yarn that have the same look and feel? Find more yarn that is fair trade, a doodads added and thick and thin texture. You may enjoy taking a look at the , and Knit Collage Daisy Chain or Swirl Ribby Slouch Beanie kits all using Knit Collage Daisy Chain Yarn. Hopefully our suggested project ideas for Knit Collage Daisy Chain Yarn can help you come up with your next exciting new project idea! 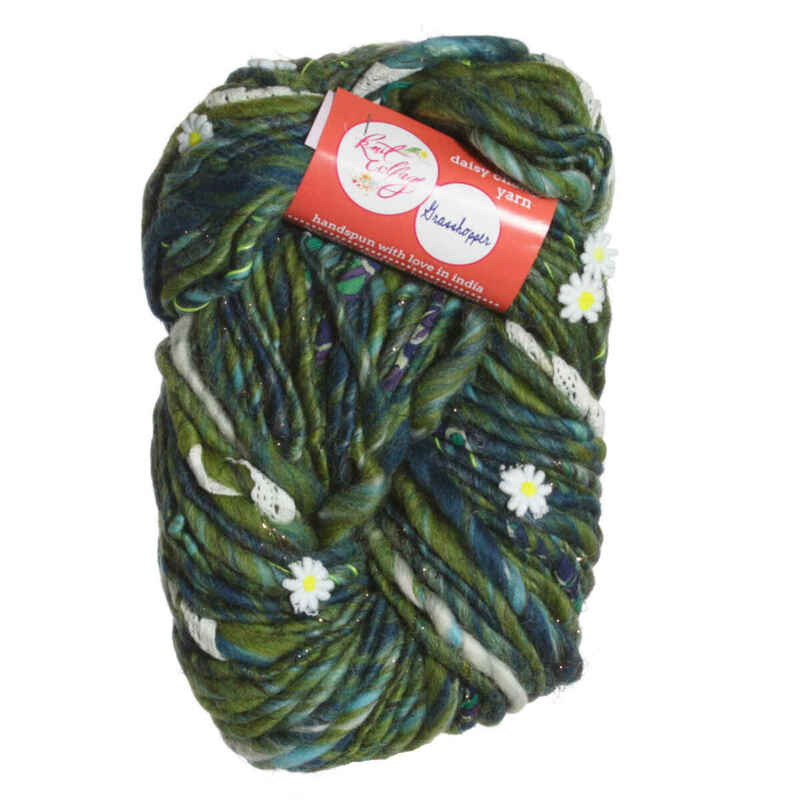 Knit Collage Gypsy Garden Yarn From $27.30 to $39.00Select colors on sale now! Knit Collage Sister Yarn From $21.70 to $31.00Select colors on sale now!